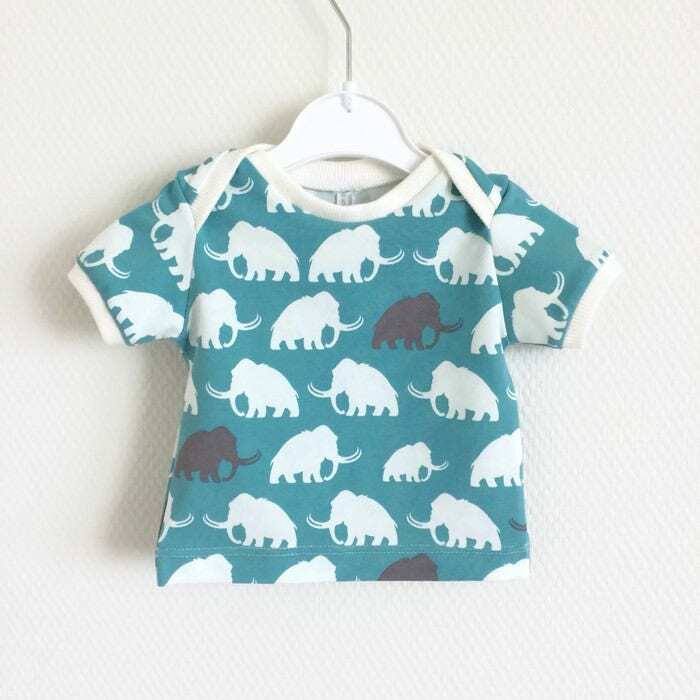 This organic lap neck shirt with short sleeves is ideal, especially for babies. The neckline makes changing easy. 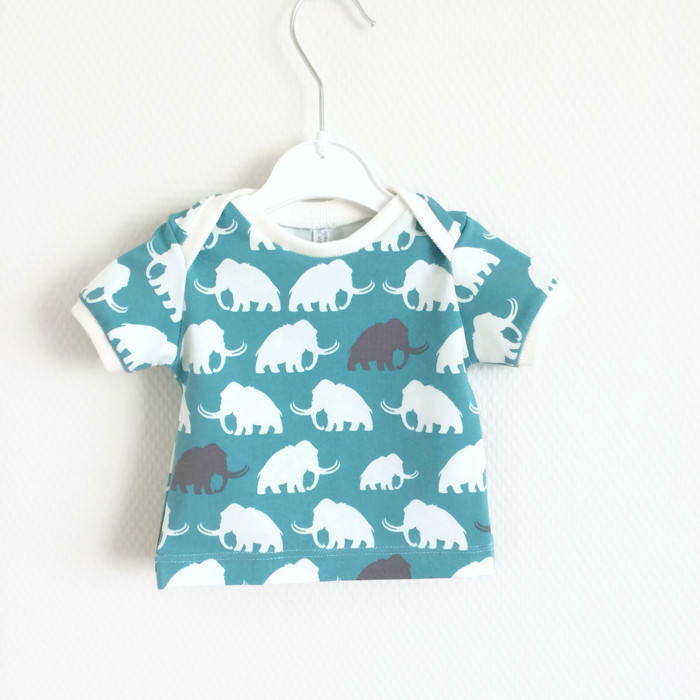 The soft jersey knit fabric with white and grey mammoths will look great on boys and girls alike. It makes a perfect baby shower or birthday gift!